Silly blogger deleted my comment!!! Grrr!!! Let me try again…I love the title of your post it was perfectly played!!! Thank you so much for my wonderful award! This is one of my favorites, I'm honored to have recieved it from you!!! Happy Friday! you have been a busy little blogger! !Congrats on all of your recognition… you most definitely deserve it! I will have to check out some of your winners and "meet" some new people! Congrats to all the award-ees! I'll check them out. Congratulations, Emily, and thank you. On a day when I feel a need for a little sunshine in my life you tell the world that I've been sunshine for you. I'm honored. Plus the picture is pretty, too. Thank you Emily! That was very sweet of you! 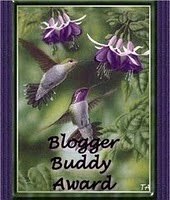 :-) I'm glad I'm one of those writerly friends (Like that word!). 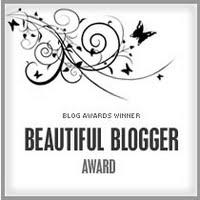 Congrats on the awards and now I have a list of a whole bunch of new blogs to check out. Thanks! Great awards! :) Congrats to the recipients! Well, I'm speechless. Thank you for the award. 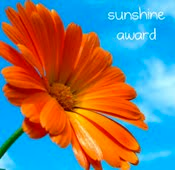 I am very honored and happy to bring a little sunshine into your day!